Kanungo said the time has come for each state to manage its own borrowings. Reserve Bank deputy governor BP Kanungo on Friday expressed concerns over the imbalances in state finances, and specifically on their high borrowings and the frequent farm loan waivers. 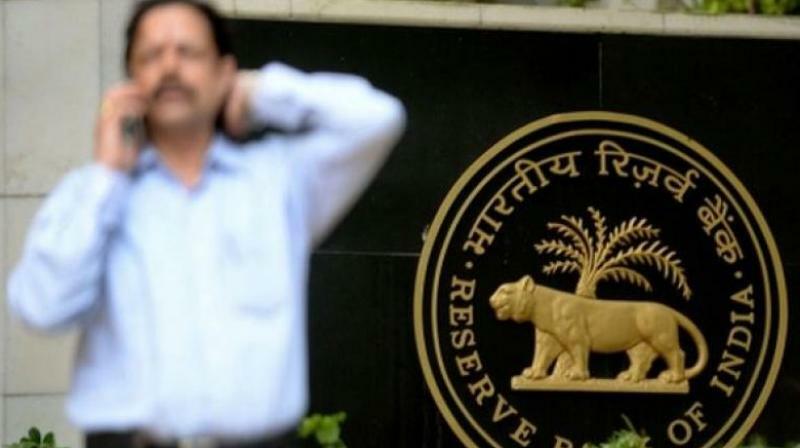 Mumbai: Reserve Bank deputy governor BP Kanungo on Friday expressed concerns over the imbalances in state finances, and specifically on their high borrowings and the frequent farm loan waivers. He warned that the additional expenditure in the run- up to the general elections next year and implementation of the pay panel recommendations pose "downside risks" to the finances of the states. But he ruled out this high debt levels of the states posing any systemic risks at present. "It is a matter of concern that finances of the states are showing signs of increasing fiscal imbalances," Kanungo said speaking at an event organised by the Bengal Chamber. "Decisions such as farm loan waivers have impacted states' fiscal position adversely," he added. Noting that the combined gross fiscal deficit to GDP ratio of the states came in at 3.1 per cent in FY18, he underlined that this is the third year in a row when it has overshot the thresholds set under the Fiscal Responsibility and Budget Management Act. "The consequence of large expenditure and deficits is an increase in borrowings, reflecting the rising trend in fiscal imbalances in all the states," he said. Kanungo said even as the market borrowings by the Centre have "stagnated" in the recent years, gross market borrowings by the states are slated to increase by 28.5 per cent to Rs 5.5 trillion this year as most of them are relying on the "cheap" tool of finance. Ruling out any systemic risks at present from the high debt levels of the states, he, however, pointed out that the higher reliance on market borrowings by the states has been impacting the bond yields. "An oversupply of government papers has contributed to the hardening of sovereign yields. This results in a spiral, wherein increased market borrowings result in increased redemption pressure, inducing further borrowing to service outstanding debt and accumulated interest. There is obviously an impact on corporate bond markets as well," Kanungo said. As the pricing of other financial products is based on the yield curve, this has a "cascading effect" on the interest rate in other segments of the financial market, he said, adding this feeds into inflation through higher in-put costs. Pitching for transparency in state finances and release of high frequency data, Kanungo said foreign portfolio investors are reluctant to invest in state government bonds which is visible in very low utilisation of FPI limits. Kanungo said the time has come for each state to manage its own borrowings, including making investor road- shows and also called for some of them to start getting themselves rated. He said the better performing states have complained about the lack of incentives for their good show as the rate at which all the states raise money is more or less the same. Kanungo said there is also a need for the states to better manage thier cash and they should explore the idea of "inter-state borrowing", where those with surplus cash should lend to the deficient ones at market rates. Pitching for better coordination for bond auctions, he also asked the states to come out with an auction calendar like the Centre does.